The basis of all classes at aYOGAbeliever whether be yogasana or meditation IS breathing: to consciously breath, is the first step to self reflection and observation. Meditation and Yoga is the second step where through the practice, an personal understanding of unconditional love and kindness begins to emmerge. Classical Hatha Yoga for all walks of life taught by an old student of Goenka's Vipassana, these teachings are given simply and clearly in an open and welcoming space. This is the auto corrector of alignment! 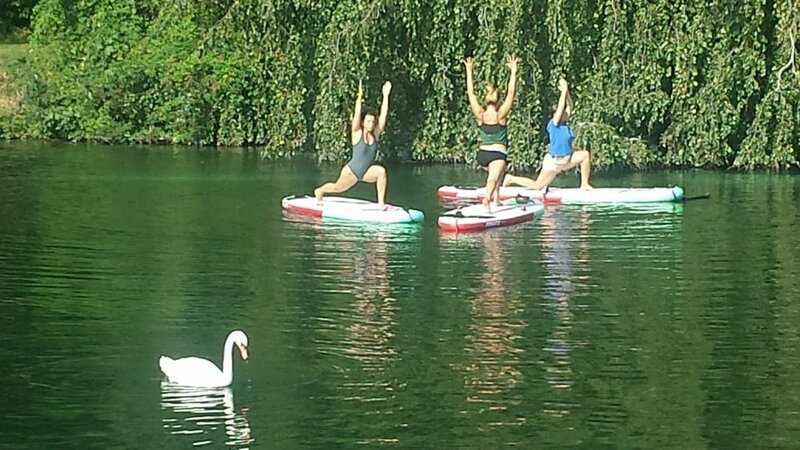 Hatha on a Paddle board develops your poise and instinctively corrects your alignment. Find yourself being completely aware of your posture and center of gravity as you practice basic fundamentals of Hatha yoga poses finishing with pranyama and meditation before relishing an incredible Shavasana (lying supine relaxation) where the clouds dance above you! 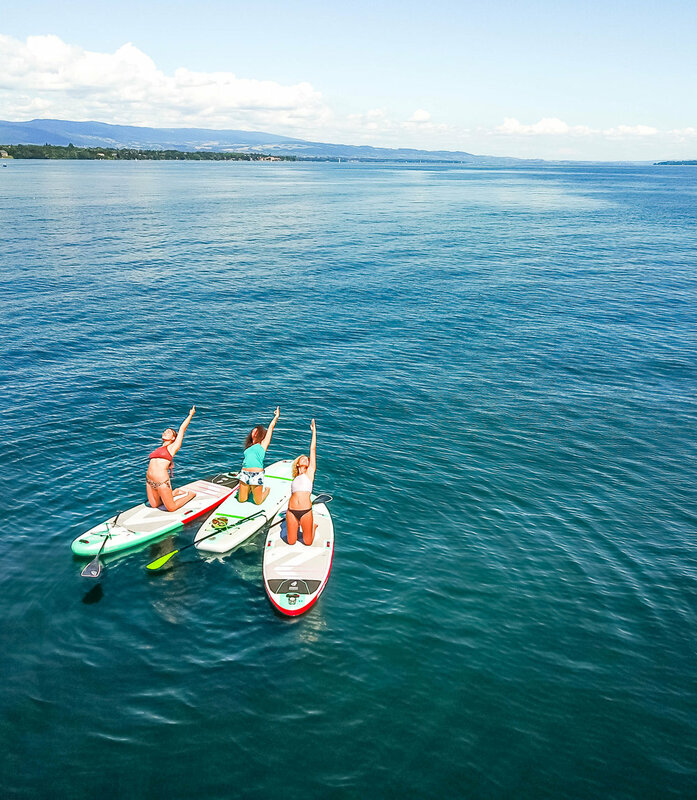 A wonderful way to start or end your weekend. In style, poise and holisticaly! Ceci est le auto-correcteur de l'alignement ! 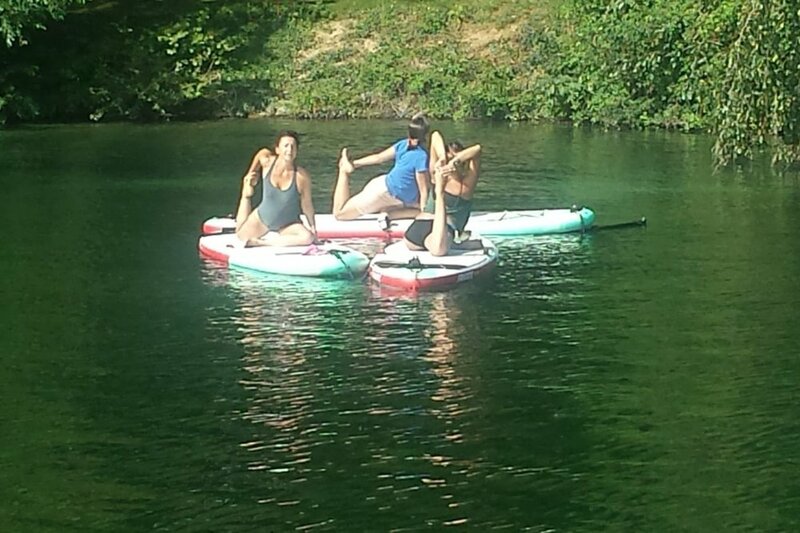 Hatha on a Paddle board développe votre équilibre et corrige instinctivement votre alignement. Retrouvez-vous complètement conscient de votre posture et de votre centre de gravité alors que vous pratiquez les principes de base du Hatha yoga en terminant par le pranyama et la méditation avant de savourer un incroyable Shavasana (relaxation couché sur le dos) où les nuages dansent au-dessus de vous ! Une merveilleuse façon de commencer ou de terminer votre week-end. Avec style, équilibre et holistiquement ! looking for more fine tuning?